This pencil-signed original hand-pulled lithograph entitled "Crag" represents a rocky outcropping iin central Missouri. 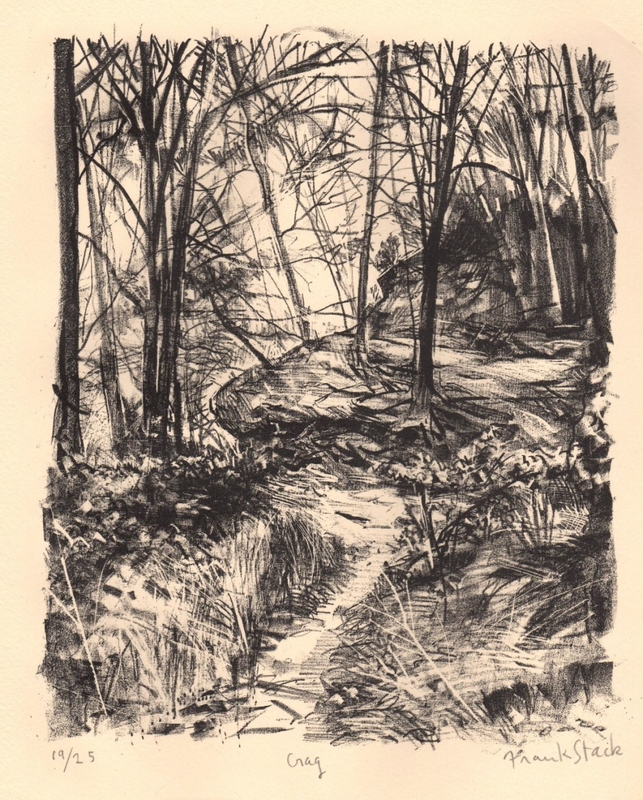 The artist captures the effects of light shining through the trees and illuminating the path through the woods. This impression is from a limited edition of 25 and is numbered "19/25". Image size: 9.25" x 7.25", Sheet size: 15" x 11".